Professional Carpet Cleaning Vs DIY Carpet Cleaning: Who Wins? There are plenty of reasons why carpets must be kept clean for the benefit of the homeowners and the carpet. 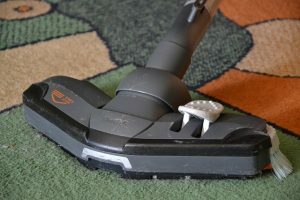 As small bits of organic matter fall into the carpet it becomes a breeding ground for all kinds of small creatures called dust mites which people can be highly allergic to. In addition to that, any sand or grit that falls off of the shoes will work their way down into the lower level of the fibers. There they act like sand paper, eventually grinding the fibers down and leaving wear paths where people have walked that can’t be repaired. On top of that, stains, spills, food odors, and animal dander can make a carpet smell and look bad. But, the savvy homeowner knows that having an effective carpet cleaning stain removal treatment every six months makes a lot of sense and increases the lifetime of the carpet. If you don’t mind doing back breaking work, waiting in line at the store twice, and spending double the price for your carpet cleaning chemicals then you can do the job yourself. You might even save a little money, but most likely you’ll end up frustrated, sore, and poor because the grocery store carpet machines are worn out and broken most of the time. If you can get a decent one, then you’ll for sure pay a premium price for the stain removal products, carpet cleaning chemicals, anti-foaming agents and the rest of the rip-off supplies. Or, on the other hand, you can get professional carpet cleaners with top-of-the-line equipment to do your carpet for you for about the same price. The biggest difference is that the professionals have a far better machine that they don’t have to borrow from the local store. Then, since they buy their cleaning supplies in bulk, they pay mere pennies on the dollar compared to the local rental yard or grocery store. They’ll be well trained on how to extract every different kind of stain you could imagine and they’ll have all of the supplies to do so on hand when they show up. Once they start moving your heavy furniture out of the way, that’s when you’ll be happy you had someone else do your carpet cleaning. They know exactly how wet the carpet needs to be for best results without over wetting it, which can be harmful to the carpet, pad, and subfloor. Places where the carpet is matted down, are where they’ll need to do the most work since failure to deep clean those spots will end up making them permanent. The matted down traffic wear paths are an indication that you need to clean your carpets far more often or you might experience early failure and replacement will be necessary. If you’ve been doing the effective carpet cleaning stain removal job yourself, you’ll be in for a surprise when you find out the professionals can do a better job for almost the same price. They save because they don’t have to rent the machine, pay for overpriced chemicals, have plenty of experience and don’t waste time. Meanwhile, as the homeowner, you can sit back and relax, save your aching back, and know that the job has been professionally done. This entry was posted in Carpet Cleaning and tagged carpet, Carpet Cleaning, effective carpet clean, Stain removal. Bookmark the permalink.